The Pantheon product range offers the right balance between quality and price, optimizing production capability and longevity. 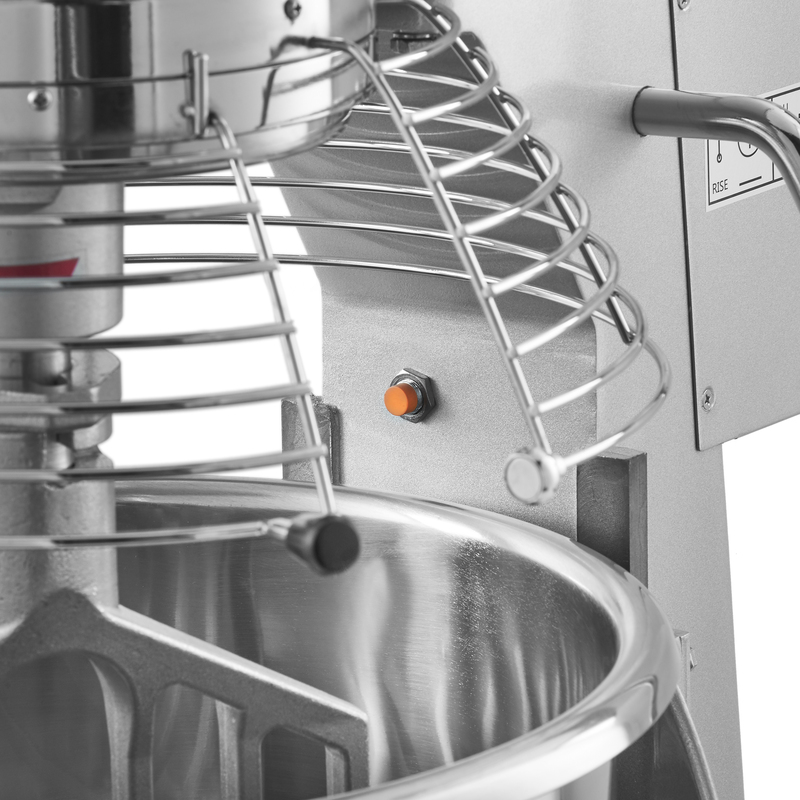 The leading principle of our PM20 Planetary Mixer design is safety, functionality and ease of use. 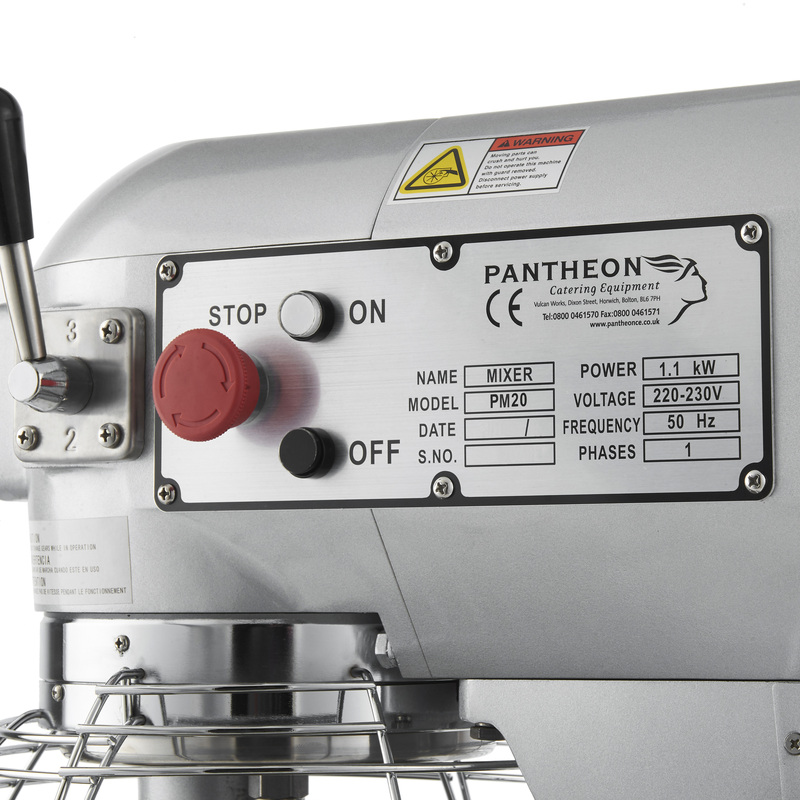 The Pantheon PM20's versatility makes it the essential machine in Schools, Bakeries, Pubs, Restaurants, Fast Food Outlets, Nursing Homes and Hospitals. 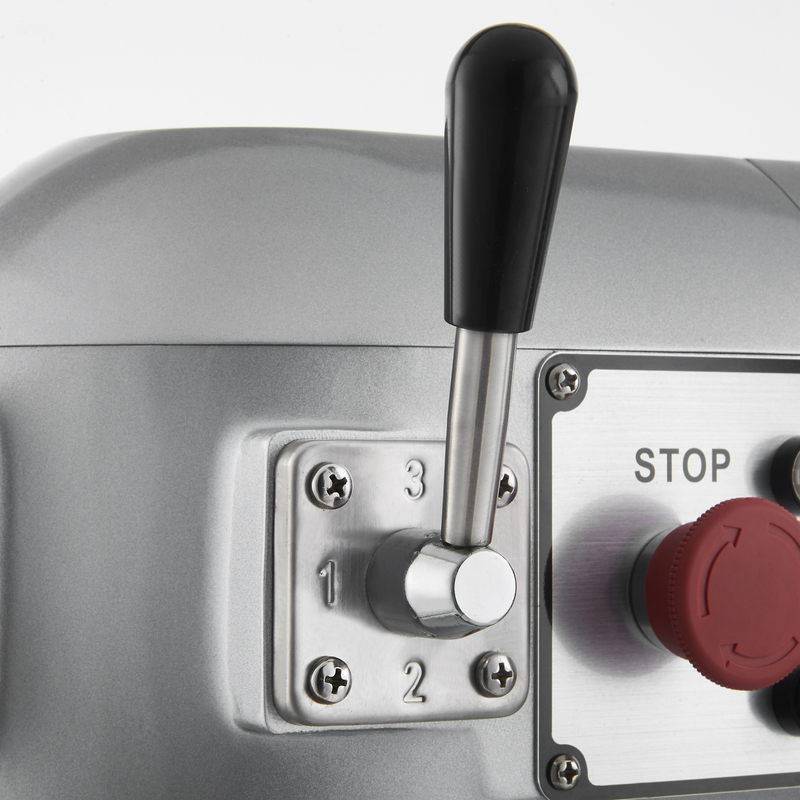 a motor safety switch with heat sensor that prevents operation due to overheating. 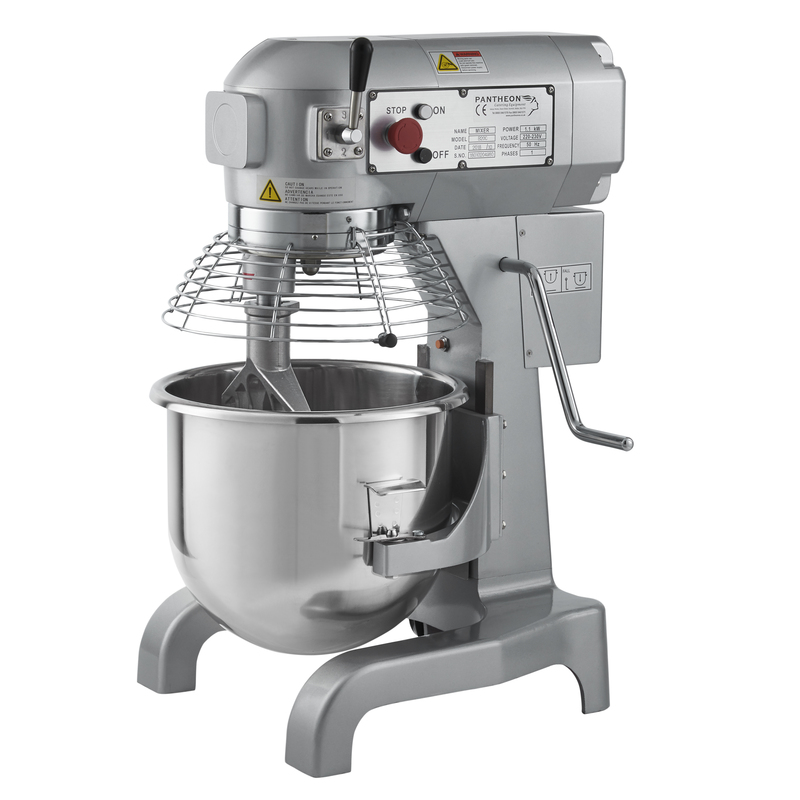 The Pantheon PM20 Planetary Mixer is supplied with a durable 1.5 mm, 20 litre stainless steel mixing bowl and 3 interchangeable utensils - a dough hook, a mixing paddle and a whisk, allowing the user to develop a wide variety of product range. 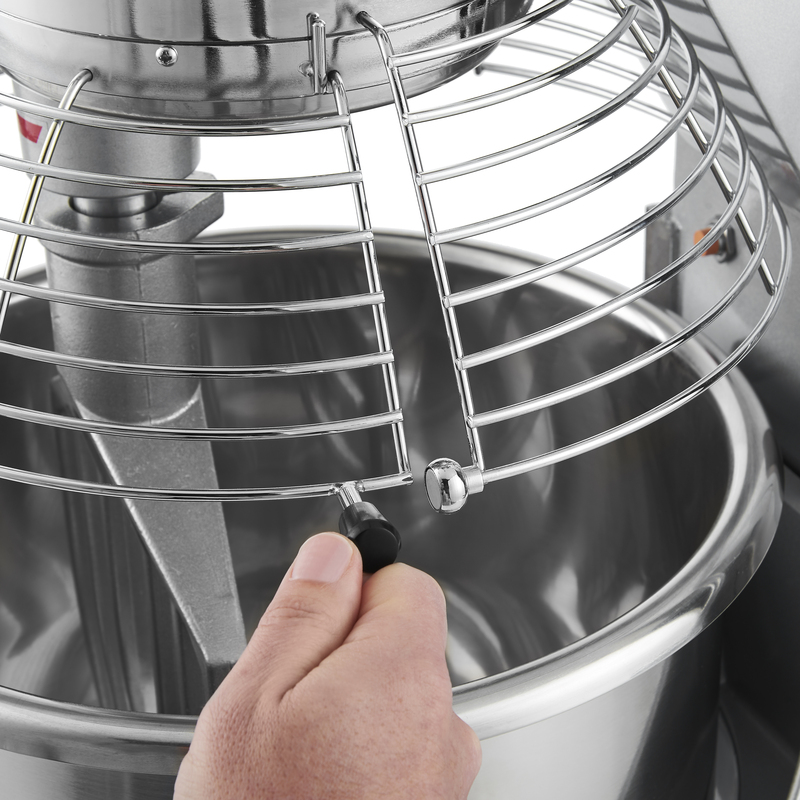 Dough Hook: allows the kneading of bread dough’s, cakes, pizzas, croissants, cookies, etc. Mixing paddle: allows the mixing creams, mash potatoes, sponge cakes etc. 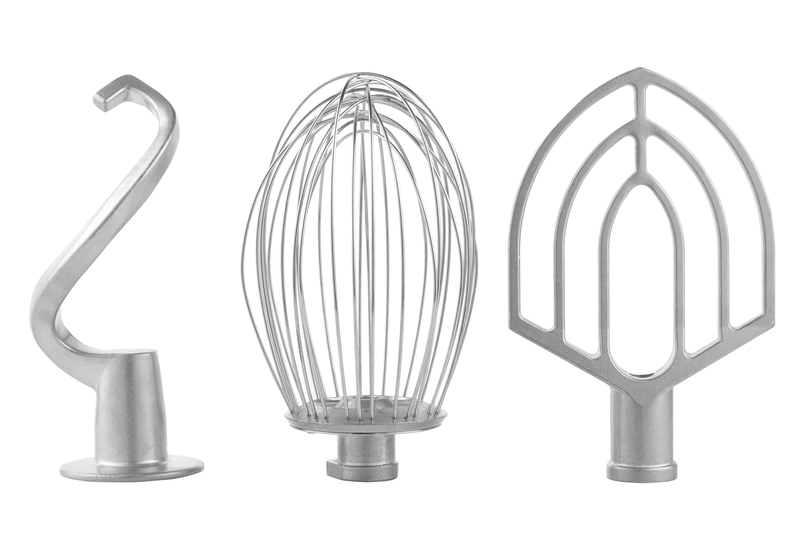 Whisk: allows the beating of egg whites, whipped cream, meringues, mayonnaise, soft creams, etc. 3 speeds: 97, 220 and 316 rp. 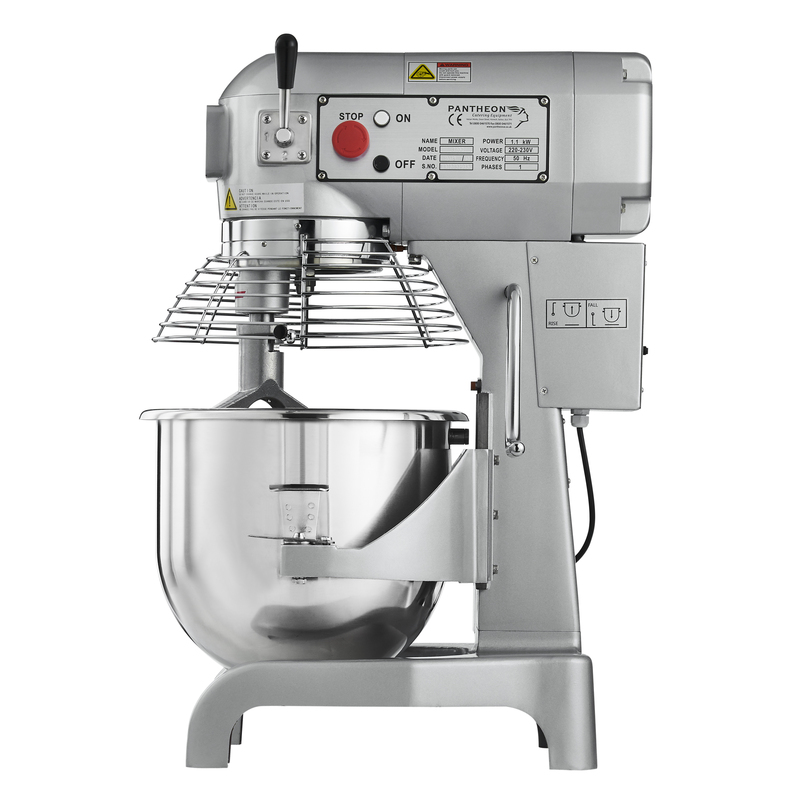 Accessories: Dough Hook, Mixing Paddle, Whisk. Dimensions: 500w x 600d x 780h (mm). 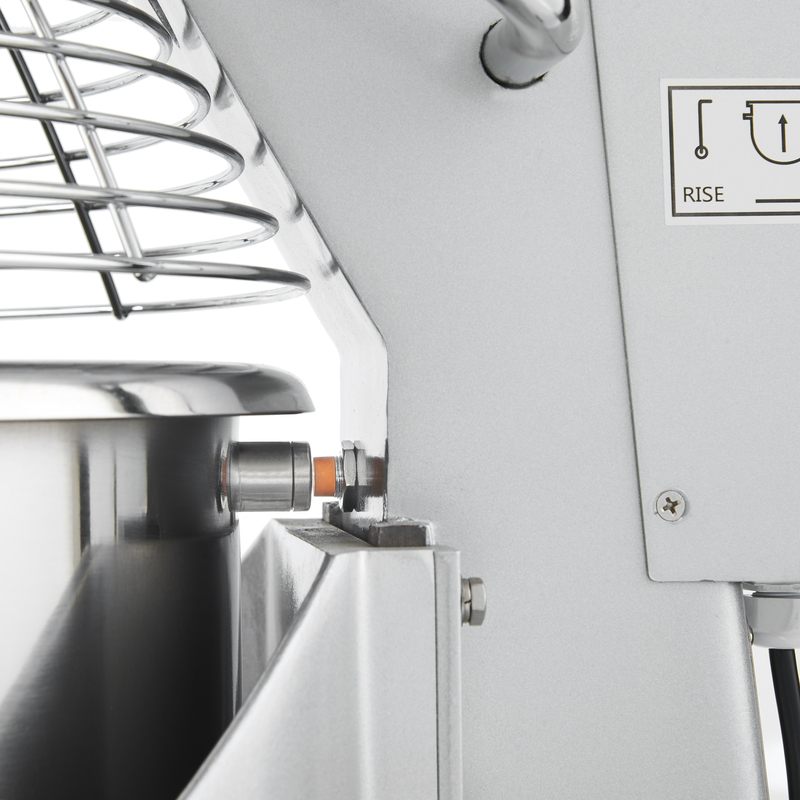 Power: 13 amps – 1.1kW.